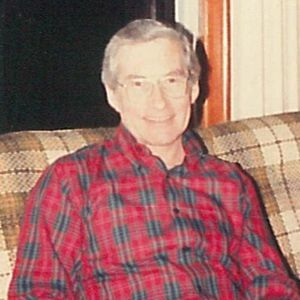 Edward M. Sample, 89 of Avon Lake went home to be with the Lord on Thursday, February 14, 2019. He was born February 7, 1930 to parents Tom and Lena Sample. Ed spent a happy, carefree childhood in Avon and attended Avon Village Schools all 12 years. Ed served in the United States Army. During the Korean War he did a tour from 1951-1953. He graduated from the University of Western Michigan in 1958 with a degree in education. He taught 4th and 6th grade at Erieview and Westview Elementary schools before becoming the first principal of Redwood Elementary school when it opened in 1962. He then retired from Redwood Elementary in 1985. He then worked at the Aqua Marine as a nautilus instructor until it closed. Ed continued to work at the Avon Lake High School fitness center and the Avon YMCA until the age of 87. Ed enjoyed dancing, golfing, traveling, high school and college sports, family gatherings, yard work and pancakes at Perkins. Ed never met a stranger. He enjoyed talking about politics with anyone and loved his ice cream with the grandkids. He was always quick to lend a hand and he helped build the A.L.P.S. ; and over the years was involved in many community activities. He will always be loved and missed by many. He is survived by his children Jill Miskell, Jennifer Spears (Larry), Elizabeth Chuba (Dan), Don (Jackie) Nowak, Ron (Deb) Nowak and Allison McCarthy; siblings Robert (Vera), Phyllis and Cora Dell; 13 grandchildren, Julie Montanez, Dan Johnson, Sarah and Jeremiah Walters, Brianna Chuba, Josh, Jon, Pete and Donald Nowak, Christine and Eric Nowak, Kevin and Sean McCarthy; 16 great-grandchildren, Olivia, Aubrey, Ryker, Taylor, Kaine, Christian, Draven, Aurora, Mia, Mason, Isabella, Gabriella, Lucy, Mary Alice, Owen and Sarah; and many nieces and nephews. He is preceded in death by his first wife Patricia Sample and his second wife Alice Sample; parents Tom and Lena Sample; siblings Tom, Jack, Jane and Bill; grandsons Edward Johnson and Michael Todhunter. Add your thoughts, prayers or a condolence to Edward's guestbook.